KLANG: A 23-year-old man miraculously survived after he was thrown out of his car and fell about three metres down from a flyover onto the Simpang 5 roundabout in Klang on Wednesday. In the 1.49pm incident, Choy Kian Chuan of Jalan Sungai Bertek, escaped death with a broken left leg and was sent to the Tengku Ampuan Rahimah Hospital for treatment. Klang Selatan district police chief Assistant Commissioner Shamsul Amar Ramli said initial investigations revealed that the incident took place when Choy was driving on the flyover from Port Klang heading towards Klang town. "Choy had lost control of his Proton Wira as he was approaching a bend on the flyover. The car skidded and crashed into the railings. 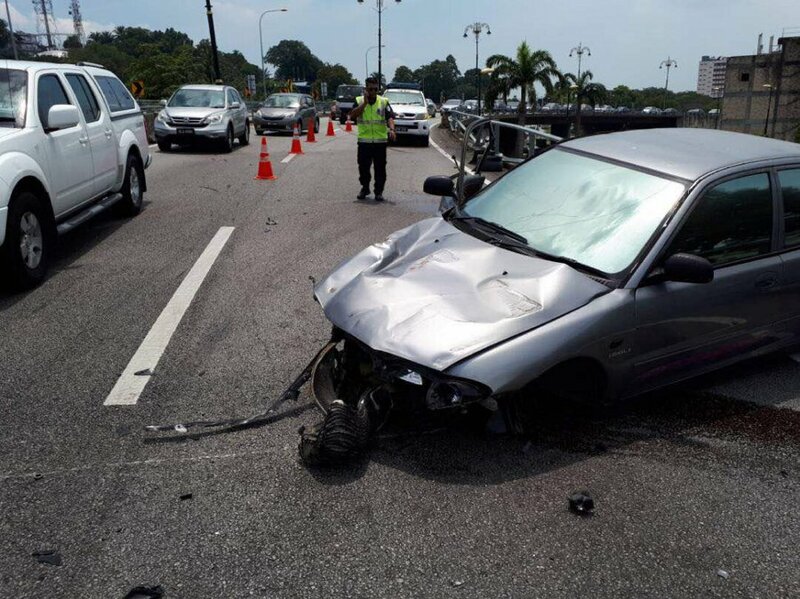 The impact threw Choy out of the car and he landed on the roundabout below," said Shamsul. Shamsul said investigation into the incident is ongoing as no police report has been made so far. I might want to thank you for the endeavors you have made in composing this article. I am trusting a similar best work from you later on also. Truth be told your experimental writing capacities has enlivened me to begin my very own Godaddy Renewal coupon codes blog now. I am not visiting this locale for so long but instead, I know the condition of this overall population. I saw some news on writingblade.net and I think the govt. need to make a move for them so they live there brightly.